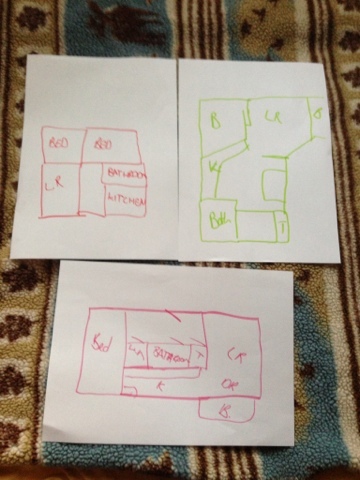 These are the maps I drew of the apartments I visited today! I am really bad at picking my favourite parts of each potential place, morphing them together and remembering one epic, dream place to live! So the maps help me remember the different places, and helped me describe the places I visited. I'm going to visit another potential flat on Friday and then we'll see where we're at. It's exciting to be thinking about having somewhere to live here! Even if the decisions involve weighing up all the different factors involved in picking somewhere to live. I'm very grateful for the different Czech speakers who have helped out on various parts of this - making phone calls to book appointments or coming with me to view places and ask the questions that I wouldn't even think of because of the differences in renting places here versus the UK.